If you're a boat dock owner or boat owner than having access in and out of the water is a must. 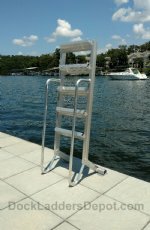 That's where having a marine dock ladder or stainless boat ladder comes into the picture. Choosing a ladder can be harder than you think. 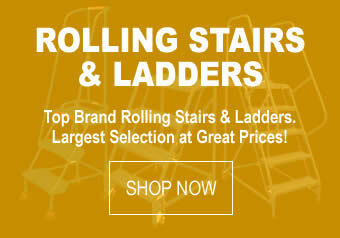 At DockLaddersDepot.com finding the right ladder for your situation is what we do! Choose from a variety of industrial ladders from top manufacturers like Vestil, EGA Products and Cotterman. Find steel walk-through ladders for roof access, ladders for company loading docks, crossover ladders, cage ladders and more. Contact us with your measurements and let us find the RIGHT ladder for you. Rolling ladders and portable stairs offer users a safer experience while also meeting OSHA requirements. 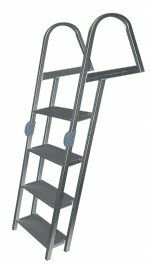 The angled stairs, handrails and portability with rolling casters make these types of ladders ideal for busy warehouses, manufacturing facilities, fleet maintenance and other facilities that have portable access needs. Dock Ladders Depot! 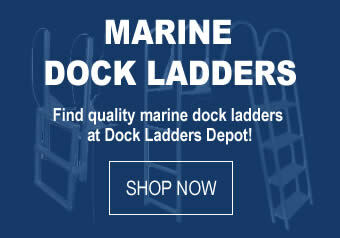 is YOUR online superstore for dock ladders, boat ladders, warehouse ladders, industrial ladders and more. 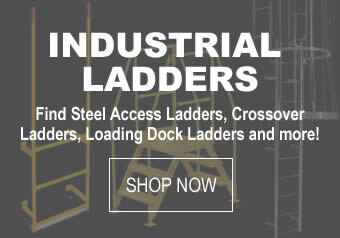 Find great deals on a wide selection of many ladders for different industries including dock ladders for marine use, ladders for boats, rolling ladders for industrial and warehouse use, maintenance and mechanics ladders for aircraft and fleet maintenance, industrial ladders for factories and plant facilities and more. Our large selection of ladders can accommodate just about any access need you may come across. Please click or call us at Toll Free #800-497-5912 to buy brand name products from leading manufacturers at competitive prices. Don't forget we can also provide custom products or variations of existing products. Call or email with your specifications for a quote.